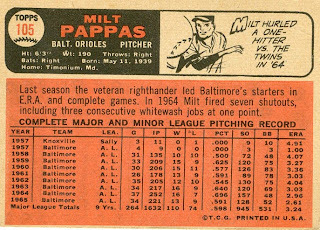 This is Milt Pappas' last card as a member of the Orioles. Milt was traded to the Reds for Frank Robinson in December 1965, too late for his 1st-series card to be corrected. Both Robinson and Pappas are pictured as Orioles. 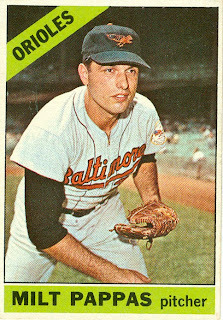 Pappas was signed by Baltimore in 1957, and after only THREE games in the minors, he made his Orioles debut on 8/10/57, at age 18. 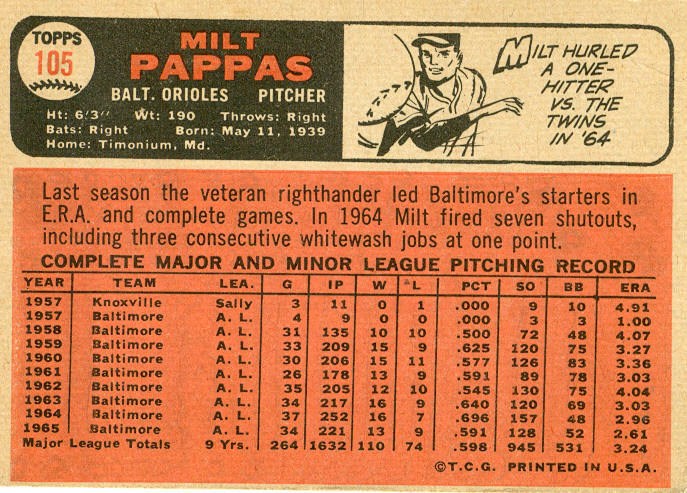 After 4 relief appearances in '57, Pappas joined the starting rotation in 1958, and was a key starter from 1958-65. 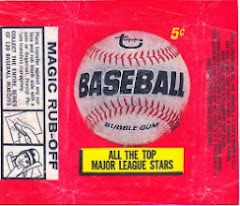 Milt's 1st card with the Cincinnati Reds was the only 1967 card without a facsimile autograph. After 2 1/2 seasons with the Reds, Pappas was traded to the Braves in a 6-player deal. 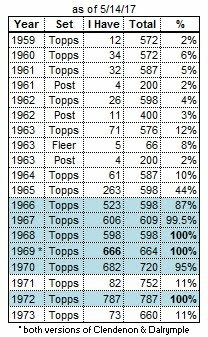 He had 2 off-years in Atlanta, then was sold to the Cubs in June 1970, where he rebounded with several good seasons, winning 17 games in both 1971 and 1972. 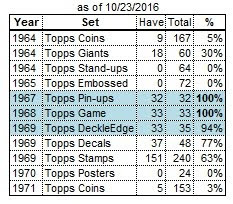 Pappas retired after slumping to 7-12 in 1973.